Unique coaxial designs are manufactured to meet flow cell monitoring needs in the oil & gas industry. Equipment can be deployed around the world in hazardous areas so cable designs need to comply with EN 60079-14 and be suitable for operation temperatures between -50C and +130C. Meeting the requirements utilities high performance materials and a complex manufacture process to produce truly versatile cables meeting these tough demands. Other specialty cables have been designed and manufactured with a composite Tri-Barrier system made from aluminium, HPDE and polyamide to provide Aliphatic & Aromatic hydrocarbon resistance. 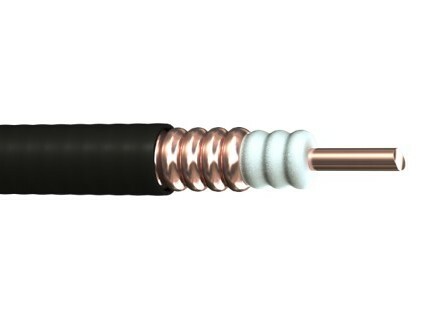 The Tri-Barrier system is lighter weight and has reduced diameters compared to traditional lead sheathed cables reducing installation times and offering space saving. More and more data, coax and fibre optic cables are being used to provide high bandwidth and fast signal transmission in the entertainment suites of high end yachts and ships. 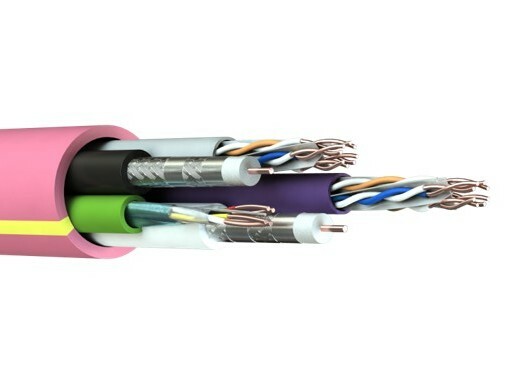 Through consultation with the system designers it was established that several cable designs were required all of which incorporated Cat 5E, Cat 6, two RG6 coaxials and some proprietary control cables. Each design went through a sample production process and was fire tested to IEC 60332-3-24 to ensure it met the requirements for the vessels. 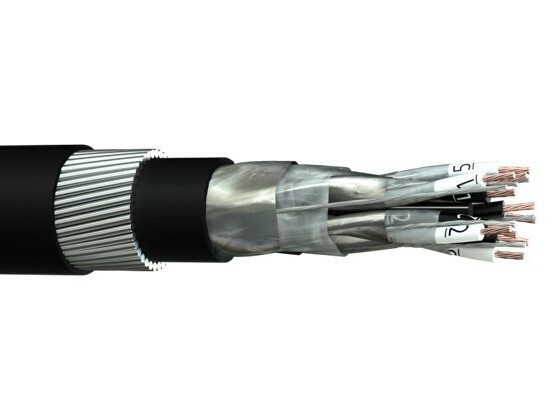 Grouping all the cables into one jacketed composite design has reduced installation time, cost and damage often experienced when sensitive cables are used in harsh environments. NASCO provides European Cable from various manufacturing partners that give us a full range of products to offer our customers. All products meet or exceed international standards and stand up to the harsh environments associated with the Marine, Oil Exploration and Dock & Port applications. Our knowledgeable staff can assist you in cross referencing your cable needs to be sure that we are meeting the necessary specifications for your project. At NASCO we pride ourselves on not only our premier manufacturers and quality products, but also our commitment to outstanding customer service. The product families outline here are our “core” products – but we have the capability of sourcing outside of these products when the need arises. We welcome the opportunity to assist you in sourcing the products you need for your next industrial application. Experience the ease of doing business with NASCO, a manufacturers rep / distributor company that is willing to go the extra mile to provide a single, reliable source for all your product needs. North American Sales Company, Inc. (NASCO) has recently formed a strategic partnership with Alpha Wire in order to expand NASCO product offering. 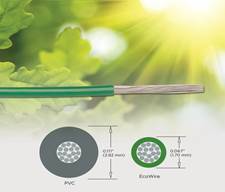 Through NASCO, you can now source a new generation of control cables, that are eco-friendly, smaller and lighter. EcoWire is smaller, lighter, tougher, and greener than PVC hook up wire. Download EcoWire WhitePaper or Request a Quote. 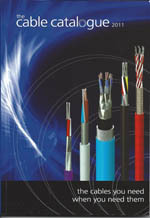 View other Eco-Friendly products from Alpha Wire. Suitable for extremely hazardous operating conditions in operating environments of offshore drilling and petroleum facilities around the world. 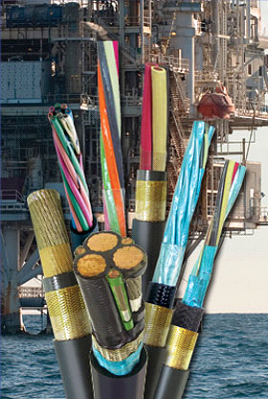 Gexol cables are flame retardant (Certified to IEC 92-3 (332-3A) and IEEE 1580), have severe cold durability (Exceeds CSA Cold Bend / Cold Impact (-40C /-35C), are drilling mud and oil resistant. Dual certified IEEE 1580 Type P and UL 1309/CSA 245 Type X110. Armored & Sheath version suitable for use in Class I, Div 1 and Zone 1.